Pass My Physical's Motor Carrier Platform gives all motor carriers the opportunity to try before you buy. You may go to the Motor Carrier Platform login screen by selecting in the top right navigation. Choose "Get Started" for your free trial. Free trials require you to have a Pass My Physical account. You can create an account from the trial page or anywhere on the Pass My Physical platform. You may already have an account if you have used the Pass My Physical driver apps. Once logged in or account created, enter your company information to start your 30 day trial. Your trial will give you complete access to the entire motor carrier platform. Contact us at (315) 704-6013 if you run into any difficulties starting your trial. Motor carrier admins or terminal admins can login here. Login with your email and password for your Pass My Physical account. If you are a terminal user, this is determined by the email address entered for the terminal. If you have never created a Pass My Physical account with your email, please visit our account page and create an account first. Once your account is created, you will be linked to the motor carrier account and will be able to manage your terminal. If you have trouble accessing your account, please call Pass My Physical at (315) 704-6013. Pass My Physical is available for drivers on iPad, iPhone, and all Android devices. The Motor Carrier Platform allows you to create a single driver by clicking "Add New Driver" to get started. Driver information is all optional, but we recommend that you fill as much information out as possible. The driver you create here will be automatically connected to the driver account with the SAME EMAIL ADDRESS. That means the email address field is the most important field in this panel. You will need to contact your driver to get their correct email address. Once you create the driver, they will be automatically contacted with information about connecting to your Motor Carrier Platform. Once they create an account or accept the connection, you will be able to track driver app usage to ensure they have the best chance of passing their next physical. Pass My Physical gives you lots of options for a driver, all are optional and use as you need them. Basic Driver Information - Enter the basic information for a driver, including name, email, phone, and more. Endorsements - Simple check the box endorsements for T, P, N, H, X, S, FB, and D.
Restrictions - Simple check the box for L, Z, E, O, M, N, and V restrictions. Medical Examiner Information - Enter the driver's last medical examiner information. Additional Notes - Fill in the blank, add as many custom notes as you need for a driver. Driver Files - Add your driver's medical certificate here and/or long form. Connecting a driver in your fleet to a driver's account on the app is easy! Simply enter the email address of your driver, which matches the Pass My Physical account email. Once the driver begins to use the app, you will begin to see basic usage information. Driver's personal information from their Pass My Physical account will NOT be available in your Motor Carrier Platform account. Personal and medical information needs to be entered by you and is stored separate from the driver. Pass My Physical makes it as easy as possible to know when to start paying attention to a driver and help push them to get their certification up to date. 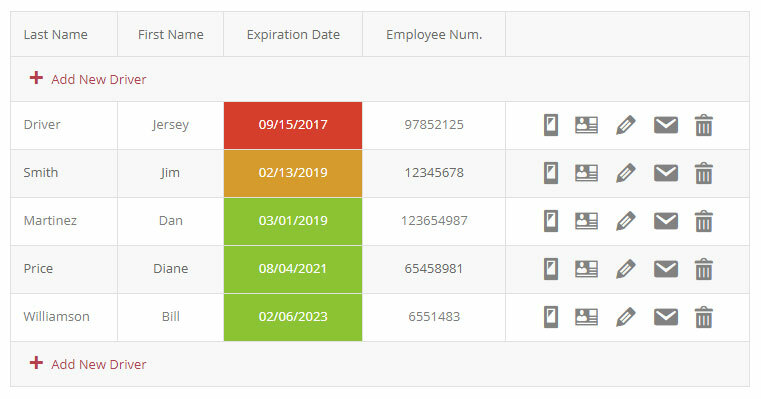 The list will show green for those that are valid for 3+ months, yellow for those that are expiring within 3 months, and red as soon as the certificate is expired. To import your current list of drivers you should start by getting a driver import template. This is done under import new drivers, by clicking the link to import. This will download an excel file. Open this up and begin adding the appropriate import content. 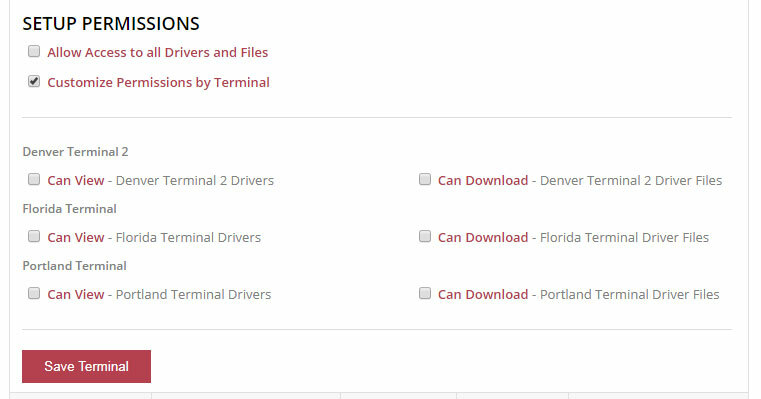 Return to the Motor Carrier Platform and choose the file to import under the title "IMPORT NEW DRIVERS", select the terminal with which to associate the drivers, the click "Import List". This should complete the import automatically and return you to the driver list page. If you are the admin of the Motor Carrier account you can manage your terminals. This is done by clicking 'manage terminals' in the right side of your Motor Carrier Platform. The manager for each terminal is based on the email address. The admin and the terminal manager can manage drivers for that terminal. Allow access to all other drivers and files. Allow custom access to each terminal is is needed. You may create a Pass My Physical account through the iPad app, iPhone app, Android app, or directly on the website here. The same account is used across all devices and the website. Your account requires that the password is updated every 90 days. You will automatically be prompted to update once a password expires. Your account requires three security questions, please answer the best questions when prompted. Recovery of your password will require you can answer these questions. Use this section is a starting point for any questions you may have. Expiration date is used to notify you of the need to renew your medical certification. Previous examiner info will help you plan for your next exam. To access your personal information, select "your dot exam form" from the main menu and choose personal information. Personal information is broken down into your address, personal (phone gender, DOB), and license (number, state, and additional info). This information is used to print directly onto your federal exam long form. Once you enter this info, as long as it doesn't change year to year, you will just need to print a new completed exam form or send it digitally to your medical examiner. The medical history can be accessed through the "Your DOT Exam Form" main menu item. If you have medications, surgeries, other history, or treating providers, please enter that information here. If you do not, simply leave it blank. If you enter "no" or "none", that will trigger the information on your long form print. This information is used to print directly onto your DOT physical long form. If you have a surgery, begin taking medication, or change treating providers, you should quickly log into Pass My Physical, update the info, and not worry about it again until your next exam. Pass My Physical offers "Physical Q&A", which can be accessed in the "Your DOT Exam Form" main menu item. Each question matches the questions you will be asked on the DOT exam form and will be automatically translated to your printed form. Any "Yes" answer you provide will trigger the need for additional information and possibly a clearance letter. Each question offers a chance for you to purchase a clearance letter for only $0.99 (Free if you are connected to your motor carrier). You can sign your form digitally by accessing the sign your form page in the "Your DOT Exam Form" main menu item. Use your finger on the screen to sign in the box and click done to save. This signature will automatically show up on your exam form, allowing you to send a completed form directly to your medical examiner in the next step. Pass My Physical connects you to any medical examiner. When you get to your examiner's office you can open your app, choose "Your DOT Exam Form" from your main menu, and click send to your provider. On this page, enter the last 4 of your social security number and submit. This will generate a unique code that can be used to access your exam form from any computer using the code and your last 4 of your social. Show the final screen to your provider, they will go to https://www.passmyphysical.com/download, enter your code and last 4, and download the exam form in PDF directly to their computer. This is a 1 time access good for 1 hour, if the code expires or gets used, you can return to this screen at any time to generate a new code. You can go to the main menu item "Your DOT Exam Form", then click "Print Your Form". This feature will pull up a screen to either download to your device or email to your computer. Typically you will want to email the form to yourself and access and print the form on your computer. This can be used as an alternative to sending the form digitally to your examiner. Downloading to your device will require you to login again before accessing directly on www.passmyphysical.com. If you make it this far you are nearly done managing your exam form. To capture your completed form, visit this in the "Your DOT Exam Form" main menu item. You should take a picture of only what you need to save or send to your motor carrier and you can include the certificate as part of page 5 or 1. Pictures will be compiled into a single PDF, which you can send to your employer. 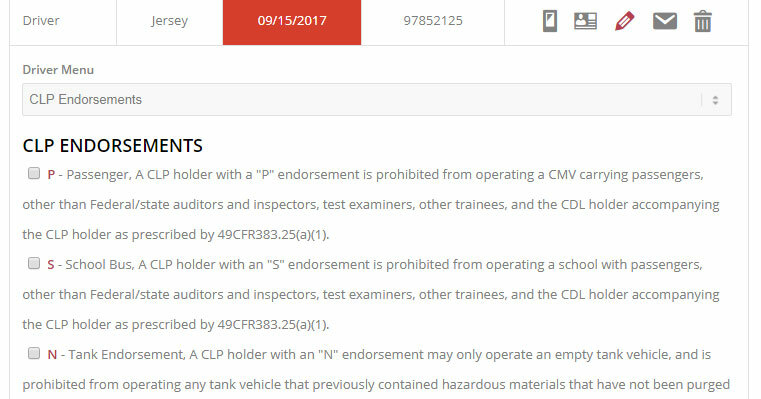 You can send your captured (completed) form to your employer by visiting this section in the "Your DOT Exam Form" main menu item, last item in the secondary menu. This uses the same process as sending the form to your medical examiner. Enter your last 4 of your social and you will be given an access code, which can be redeemed at www.passmyphysical.com/download using the code and the last 4 of your social. This is good for a 1 time access within 60 minutes of the code being created. Pass My Physical offers a quick and easy means to find a medical examiner near you or near the location you will be getting your exam. We offer very consistent and reliable examiners for the best possible experience for you. This section requires that you allow access to your device's location. Once you do, you can change the location if you are not getting an exam near you or tap on any examiner to view their details. Get directions, or call directly from the app! The medical examiner EHR is currently in development, available Quarter 1 of 2019. Please check back later.